Destination dining in a South Bay strip mall would have been surprising five years ago but now seems the inevitable result of L.A.’s decentralized culinary scene; not all of the best restaurants are in trendy neighborhoods like Santa Monica or downtown L.A. Headlights from a car pulling into a parking spot at the Purple Haze smoke shop next door to Baran’s 2239 illuminate your plate of gnocchi nero: jet-black dumplings and coral king crab in vibrant red Calabrian chile-butter sauce blanketed with emerald fines herbes. The sauce is bright and acidic with lemon; the gnocchi are expertly pillowlike. 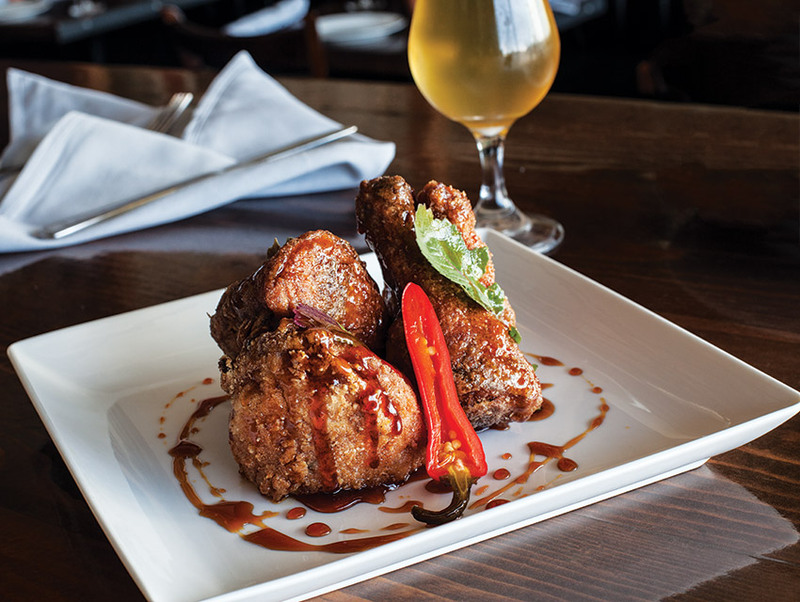 The same refinement extends to Tyler Gugliotta’s smoked and fried chicken—inexplicably juicy, lightly perfumed, and slathered with a complex and enticing soy-chile gastrique. On any given day there are no more than 20 items on the menu, and each one hits the mark. —J.S.